Day 2 of Electronica is in the books. Our newest machines– the 3910 and the 4910 are running great and getting lots of attention. Our contest this year is “Beat the Teach” Challenge, where we are letting attendees try to see who can teach the critical z-axis without touching the device. We’ve had everyone from visiting students to Physicists try out our system. It’s been fun, and a great way to showcase WhisperTeach… after we let them try it manually, we show how easy it is (and how fast!). Currently, the leader is Elliot Williams at just 5 steps above WhisperTeach. Simon Ratzer is in second place with a score of 6 steps above. The winner at the end of the week receives a free Apple iPad. The team of six from BPM Microsystems and our European Partners, Adaptsys, are a little tired, but very excited by the response to our newest systems. 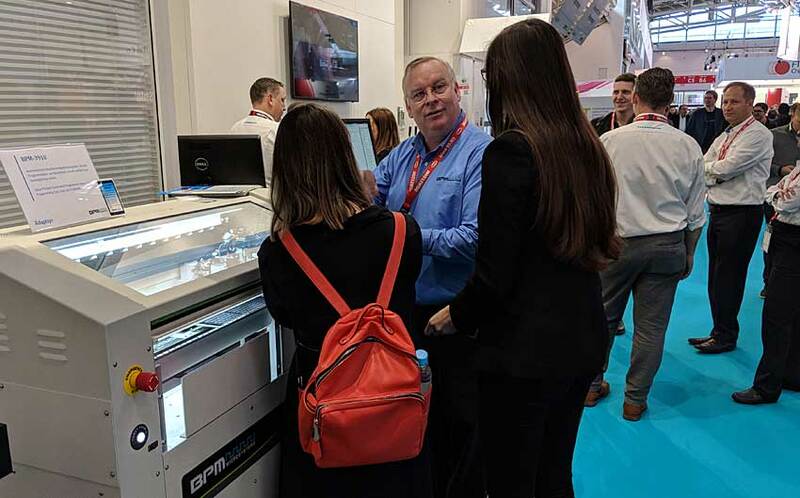 Pictured above is our Region Sales Manager for US and Canada, David Roy, demonstrating the WhisperTeach Challenge with two attendees. 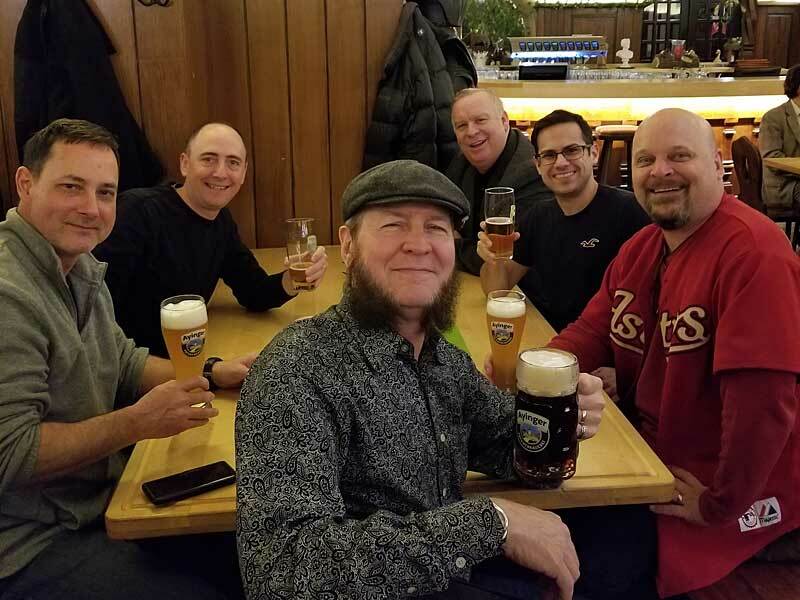 The team from BPM enjoying a well-deserved traditional German dinner (and beverages). Charlie Watson, Colin Harper, Jim Holava, David Roy, Fernado Guillen, and Scott Bronstad.